Does it Count? or Is This a List I See Before Me? Regular readers to the blog may have noticed Redgannet’s post on some delightful finchbills he saw in China. In the post he agonised about whether they should be included on his life list due to their “doubtful provenance”. I started to formulate a reply, and it got rather big, so rather that leave this on his own post, unread, I decided to post it here instead. A day late (sorry/not sorry, I just mostly bought a house and also it’s Christmas so after work drinks tend to blow out – I snuck out early from today’s party and am writing this with a glass of smuggled bubbles while playing Christmas songs). I will try and keep it short… emphasis try. I think the first place to start is to think a little about what life lists are. I don’t have a life list. Actually, that is more accurately I don’t have one life list. I have a number of life lists. I have twice, in the last 6 years, reset my life list, insofar as you can. I suppose there a hypothetical life list of all the birds I have seen, but I have no idea how long that list is. Or, to a large extent, what’s on it. So, as birders, what are our lists? First and foremost, lists are stories. Bare bone stories, for sure, with a lot of the detail stripped out. But to review a list of a day, a site, a trip, a year, a county, a country, a life even, is in essence the story of the birds you saw and the birding you did. The mere presence or absence of birds in a list can, in the mind of the reader, tell the story. And lists don’t just reflect stories, they drive them. Seeking an addition to a list, or driving up as big a list in an area or period of time, they funnel the way we think about birding and we think about birding in terms of stories. The one we saw. The one that got away. The one we couldn’t work out. In many ways this is the same as stories, but not. We spin stories to help us remember and contextualise events and history. We use lists to do the same. Let me explain. 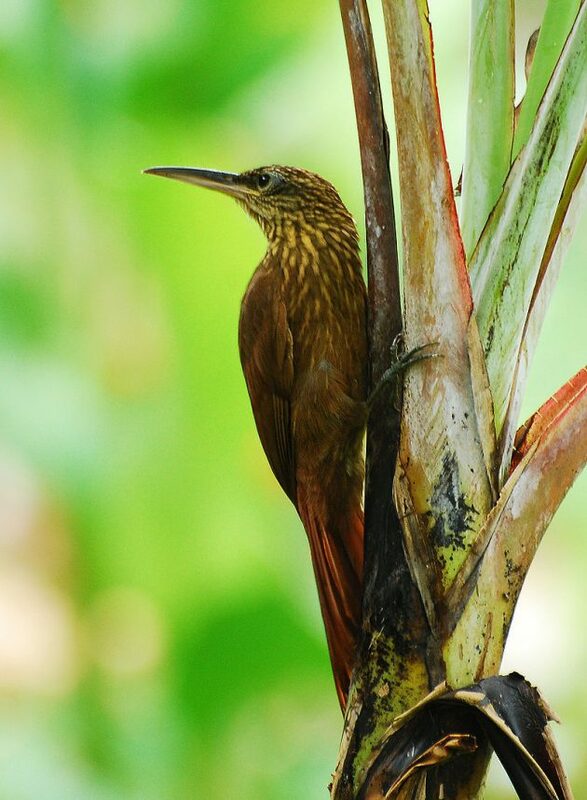 I have seen two species of woodcreeper in Central America, the Ruddy Woodcreeper and Tawny-winged Woodcreeper. I honestly have no particular memory of these birds. But for the names I may not even know which is which. This isn’t surprising. I have seen tens of thousands of birds in my life, and probably around two thousand species. My notebooks and lists are full of birds that I have seen, recorded and then, over time, forgotten about. I do remember seeing a woodcreeper, but it was one I saw in Argentina as a child. I have no idea what species it was, but the memory is still strong. It’s noteworthy that I remembered before writing this that I had seen those other two species, even though the memory of the event(s) is itself lost. I’ve stored memories about all three of these in different ways, in much the same way as students of memories say we remember things in different ways in all aspects of life. List are, therefore, a way we remember things. This isn’t important to my central thesis (insofar as I have one), but it deserves a quick mention. People like competing, either with themselves, or with other people. This is fine. And here we hit the sticky wicket. The hardest task we set up for lists, the one we spend the most effort trying to achieve, is for lists to be true. Remember what I said about memory? You could take any number of year, country and site lists from ten years ago or more, replace half the species with species that are plausible but with birds I didn’t see, and chances are I would have no idea. Lists are a way of trying to set memories in stone, to lock them in. So we make a real effort to make sure that they are truth. But are they? Stop me if you’ve done this one before. You’re new in an area. You see a bird. You consult the guidebook, and after much umming and ahhing, you come down on an identification. It is species A. Then one of three things happen. You leave the area, never go back, and species A becomes truth. Or you meet a local with good knowledge and they tell you actually A doesn’t live here and you really saw B, the local subspecies of which actually looks a lot like A. And that, over time, becomes the truth. Or three, they confirm it was A, and that becomes the truth. I mean, check out my recent post and the comments. African Scops-Owl or Southern White-faced Owl. I still have no bloody idea. The problem with lists as truth is that it basically cuts against how historians view history. Historians see past events (particularly far distant events) in terms of probability. It is probable that Jesus was a historical figure. It is improbable that Washington cut down a cherry tree. Some events are so probable, or improbable, that it is is almost certain that they happened, or didn’t. Others are a grey area. Most of the birds on your life list are certainly birds you saw. But all of them? With a few exceptions, that would be a maddeningly difficult thing to demonstrate beyond all doubt. Was that Alder Flycatcher you saw in 1998 really an Alder Flycatcher? Really? Really really? As birders we understand the uncertainty, to a certain extent, with regard to how we evaluate rarities. But the fact is that we use probability all the time to make decisions but then store the results in the format of absolutes. We try and build a one true list of all the birds we have seen, only it isn’t, because we don’t really know all the birds we’ve ever seen, and in fact we don’t even include all the birds we’ve seen because we have so many criteria that make the list even more arbitrary. If I may humbly and somewhat tipsily suggest, we should take leaf of of the book of non-birders. You may have noticed when conversing with them that the distinction between an animal counting or not is much less important. What matters is the fact of the encounter. The average woman or man will tell you that they have seen a penguin, or an armadillo, or a panda. That they have seen it in the wild or not does not affect their idea of whether they have seen it or not, even though most of them would still value a wild encounter more as a memory. Similarly a wild encounter isn’t filtered through aggressive filters and criteria to be judged worthy as having counted. My first ever encounter with a “wild’ monkey was an obvious escapee I saw a s a child, also in Argentina. My parents heard about it and took me to see it, I even knew it was an escapee, but that didn’t diminish my wonder or enjoyment. The memory is as vivid as my first wild wild monkey, and one I treasure still. I’m not saying don’t list. I would never say that. And don’t not make an effort for it. But perhaps make a list nuanced. Embrace the uncertainty and grey. Redgannet’s Collared Finchbills are almost certainly escapees. But they were also almost certainly Collared Finchbills that he saw. Moreover, they were Collared Finchbills that brought enjoyment, that are now part of the story of his birding life, that he has told stories about, that will be in his memories perhaps long after he has forgotten the brief glimpse of one he’ll see in southern China in three years. They have a place on a life list, even if they aren’t on the list, the one with all the rules. Merry Christmas! 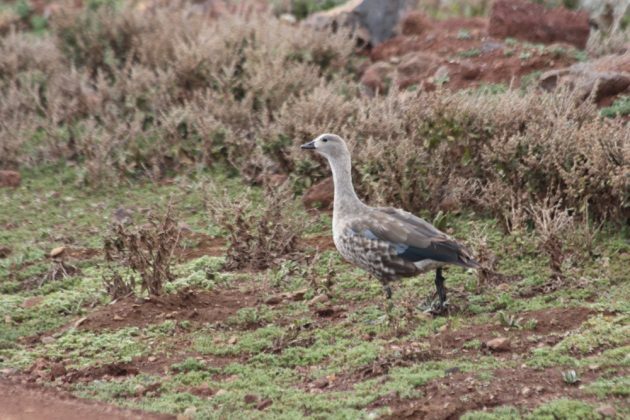 If you have goose for Christmas make sure it isn’t a Blue-winged Goose like the one in the header image! I was working out in a marsh in coastal Louisiana and I found an odd tiny owl. I showed it to the guy I was working with and he thought his wife would like it because she was “into birds”. She showed up on the job later and we showed her the owl and she showed me a slip of paper that changed my life. It was a bird list, scrawled on a folded sheet of notebook paper. I list obsessively now. I track a life list, yard list, state lists, and parish lists all using eBird. Before I “became a birder” I was always watching birds and other wildlife, photographing them, but I only knew what a small fraction of them were. Listing transformed my hobby because it made me learn to identify things. Where Are You Birding This Fourth Weekend of December 2016?